In practically every industry, employees need to use computers, mobile phones, and other devices to do their work. In the past, companies furnished that equipment. Now, under a policy called bring your own device (BYOD), new opportunities have emerged that can improve the performance of businesses and their teams. With so many people owning their own smartphones and laptops, company-supplied equipment often becomes redundant. Furthermore, as telecommuting and other remote work arrangements gain popularity, the importance of BYOD becomes increasingly apparent..
As you might guess, both approaches to the use of technology in the workplace have advantages and disadvantages. The following considerations will help you weigh the pros and cons of BYOD so that you make the best decision for your firm. Businesses can maintain complete control over employer-provided devices. As a result, they can easily restrict the installation of apps and monitor employee activity. However, mobile devices and their associated services can represent a substantial month-to-month expense that can quickly become unmanageable for small companies. So by sacrificing control over your employees as they work, you can improve your profitability, even if you choose to contribute to your employees’ expenses. Essentially, by adopting a BYOD policy, you can enjoy all the benefits of mobile connectivity on a tight budget. Your employees may appreciate the convenience of BYOD. Rather than having to manage two sets of devices, they can do everything they need with one. Meanwhile, BYOD is convenient for companies. They can stop spending time and money acquiring and managing electronic equipment. Additionally, they can expedite onboarding processes and eliminate recovery efforts when employees quit. Also, when your employees use their personal devices for work, they can more easily work from home if they get sick. On the other hand, BYOD policies can cause operational headaches. For instance, endpoint security becomes an issue when friends and family members share devices. Consider the conflicts that can occur if you supply your staff with Android devices, but they prefer to use Apple products. In such a situation, they must spend time learning something new. They may also feel frustrated and become dissatisfied with their jobs. If you implement BYOD in your organization, you can benefit from the familiarity and expertise that your employees already have. For this reason, people can feel more comfortable in ways that may lead to increased productivity. 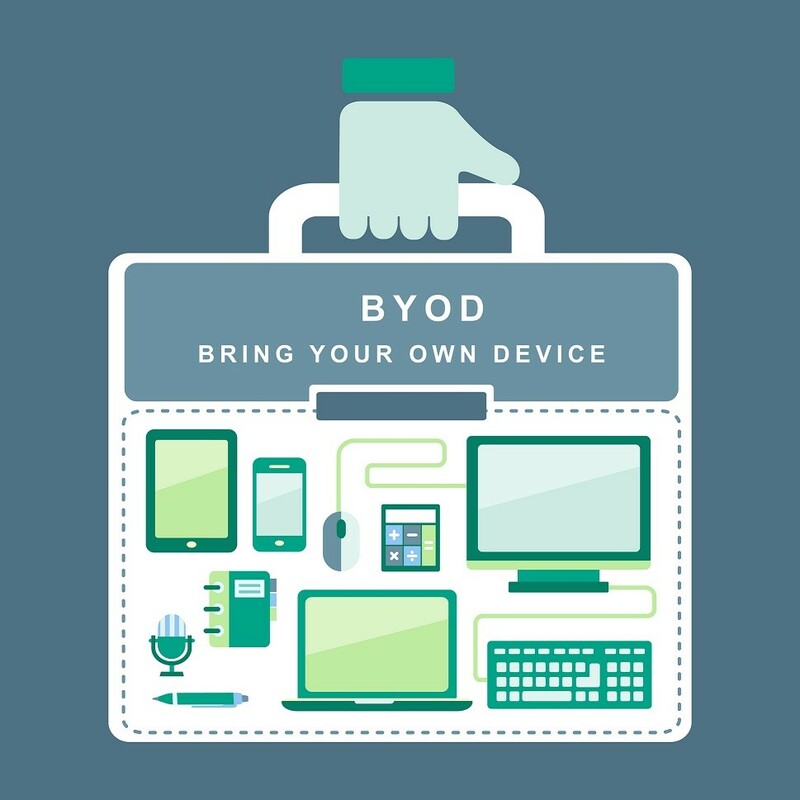 Of course, BYOD might not help your business if it has special requirements that require your employees to use a particular device, application or operating system. As noted above, endpoint security can become a major issue with BYOD policies. To begin with, your team members may not have exclusive access to their devices. Consider what could happen if children use their parents’ laptop to do homework. They could easily start exploring business resources and cause problems such as deleted files and exposed confidential data. Similarly, some employees may take more risks than others regarding their devices. Consequently, your BYOD policy could increase your exposure to online threats such as viruses and malware. Also, with so many endpoints connected to your network, you may have difficulty identifying intruders. Although you can take steps to protect your business’ data, BYOB policies might not work for every business. Respond to the above observations by assessing the needs of your organization. Afterward, implement sensible policies that help your team comply with your decision.